Angel Symbols, Angel Oils and Angel Aura Essences, by Ingrid Auer, are energetic tools from the spiritual world. They can help to harmonize body, spirit and soul, and support spiritual development. You can find further information regarding the spheres of action of the energized Angel-Symbols here. 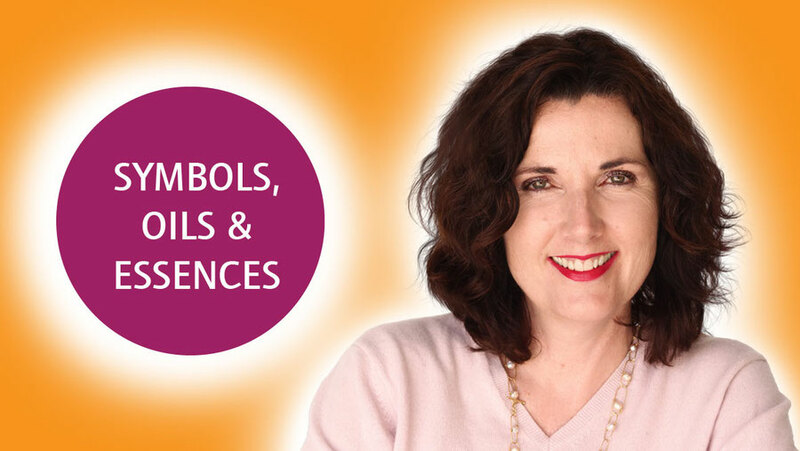 The Angel Combi Symbols are put together in sets of 7 to 15 single symbols for energetic body work. They hint at which behaviour patterns might cause energy blockages. The Angel Transformation Symbols are intended for people who have been interested in spirituality, and working on themselves and others, for some time. The symbols can hint at deep, unconscious, or suppressed patterns. They support self-reflection and self-knowledge. Master and Archangel Symbols give access to the high levels of the Masters and Archangels. They can indicate mental und emotional blockages, introduce a process of gaining awareness and support spiritual development. These oils are also called “Angel Oils” and contain the same subtle energies as the Angel Combi Symbols (see above). The oils are used for different massages. Find a list of the Children’s Symbols with the corresponding Angel Combi Oils here. Angel Aura Essences contain the subtle energies of the Archangels and the Angel Combi Symbols. They are sprayed into the electromagnetic field of the body and strengthen, cleanse and protect the aura. They are also used for the energetic improvement of rooms. Find practical tips on the Angel Aura Essences under „How to do“.